The transportation for the tour arrived at my hotel early, around 7AM. The travel time from the city center to Sabang was almost 2 hours. I was already wondering to myself if the long trip was worth it. 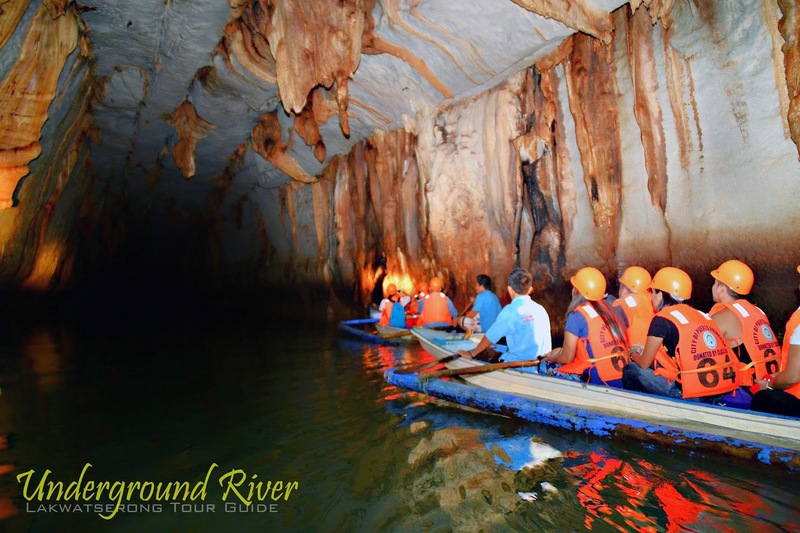 Our tour guide briefed us as to relax and just enjoy the trip because there might be delays when she got our permits and the queue for the boat ride to get to the mouth of the river and the actual boat ride inside the cave. I liked how our guide provided tidbits of information about the city, the province, the Underground River, and anything under the sun. She kept everyone perky and even introduced everyone in the van to each other. She kept our group entertained for most of the trip (around 2 hours one way and another 2 hours going back). After arriving in Sabang, we had to wait for another few minutes before we got to ride the boat to the mouth of the cave. The boat ride was another 20-30 minutes. After our boat docked, we were greeted with a beautiful beach with a spectacular rock formation. Our motley crew was then lead into the mouth of the cave to finally ride the boat into the river. 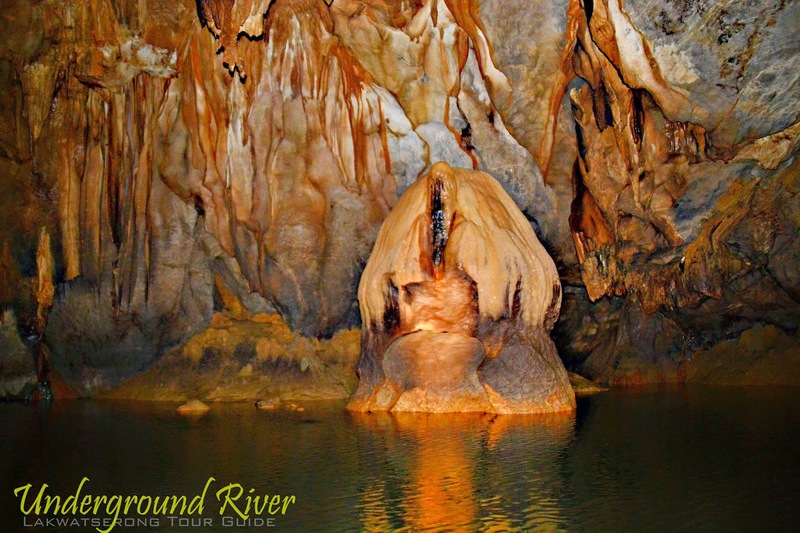 St. Paul's Underground River Cave is more than 24km long and contains an 8.2km underground segment of the Cabugayan River. 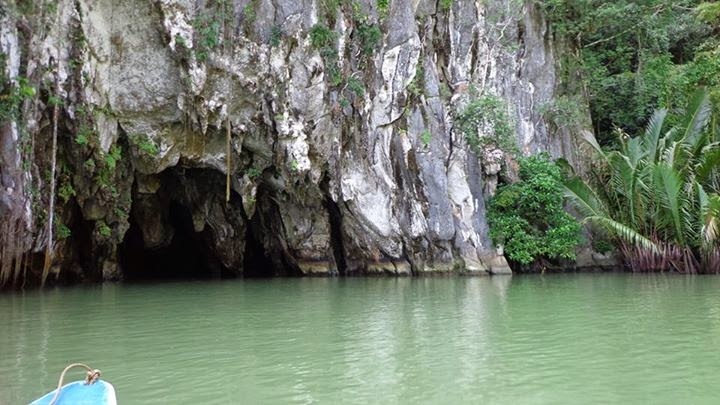 The Underground River was included in UNESCO's Heritage Site List in December 4, 1999. The park is home to different kinds of flora and fauna endemic to Palawan. After more than 2 hours in transit, we were finally in the cave. A few minutes into the cave, we found ourselves in complete darkness other than the torch that was provided to us before boarding the boat. Each boat has a volunteer that points the torch to whatever rock formation or interesting sight inside the cave, with the help of the boatman/tour guide. photo c/o Fidel Pacia, Jr. The rock formations and the size of the cave were quite impressive. The rock formations took on the shape of fruits, people, objects, and anything that your imagination could think of. The tour guide gave information about the cave such as when it was founded, by whom, how old it was, and other tidbits you can find online. I was most impressed with the 'cathedral' inside the cave. Thankfully, our 'light volunteer' was good at pointing the torch at the rock formations and sights that our guide dictated. You would definitely enjoy the boat trip more if the volunteer knew where to point the torch. Our guide (I think he was Rene, I forget), interjected some light commentary about the rock formations and added his own sense of humor. The information he provided was adequate and some of his jokes were indeed funny. But for me, there could be room for improvement. The trip to the park was way too long compared to the actual trip inside the underground river. The trip inside the underground river was only around 45 minutes going in and out. Tours were only allowed to go around 1.5km of the underground river, further than that, the group would have to get a special permit. At around the 4km mark, people would have to wade in the water or crawl in some parts. 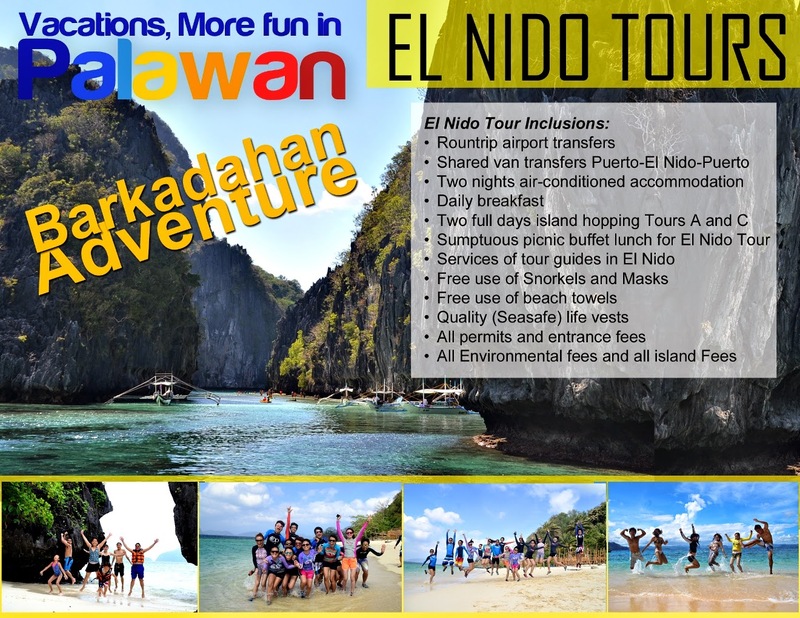 Fidel can help you customize your tours in Puerto Prinsesa, El Nido, and Puerto Prinsesa-El Nido. Fidel can also help you customize large group tours with your friends or family. wow! bro naunahan mo ako rito. 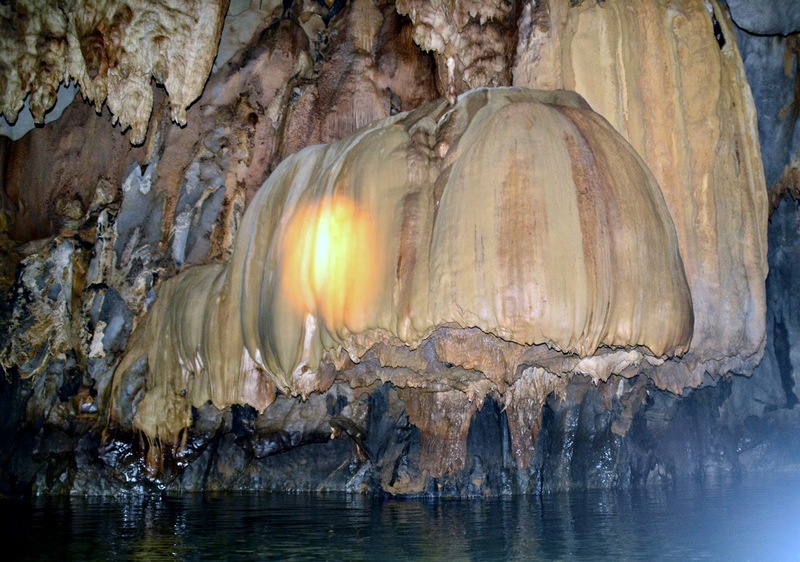 We are planning to visit Palawan in particular, this underground river by early next year. Nice photos and great experience for you. This is one of those place I really wanted to see very soon! What an enchanting place! Thanks for sharing with us your own personal experience. 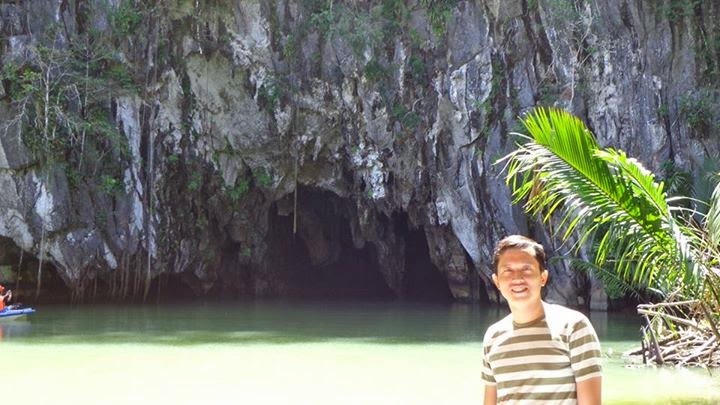 Glad you enjoyed exploring the famous underground river. It's an experience of a lifetime. 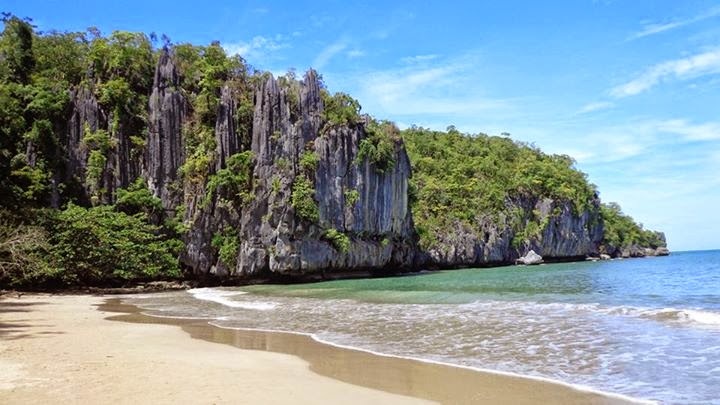 I never been in Palawan, I hope I can explore the this when I have a chance to go home. 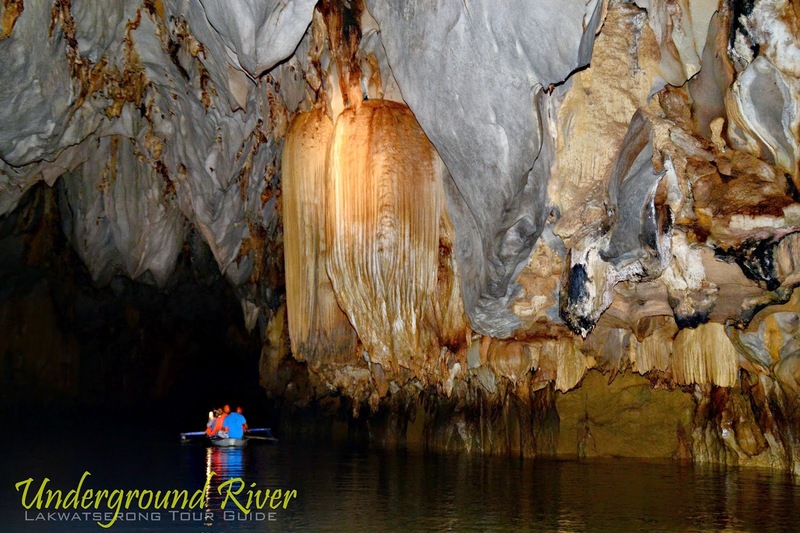 I also enjoyed the Underground river from the long boat ride to the trek and to the amazing rock formations inside the cave. The photos gives me an idea of what your guide's jokes is about lol. This underground river is remarkable! This is a one of a kind experience. 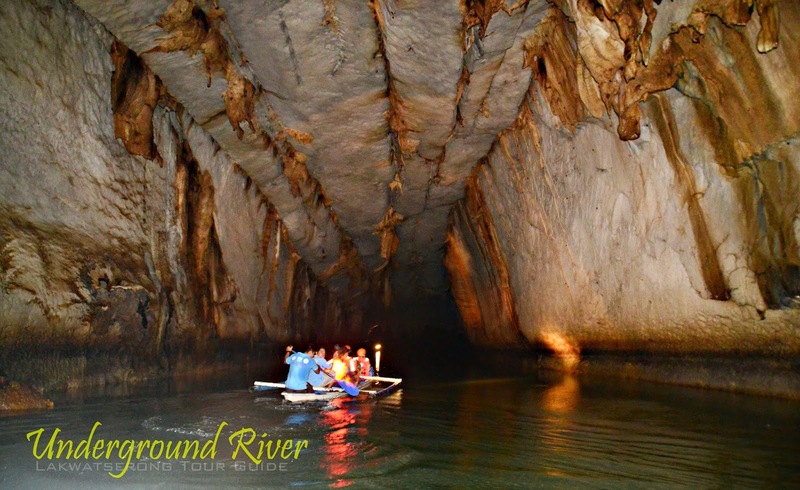 The Underground River is really an awesome sight that we're looking forward to visit as well in the coming year. 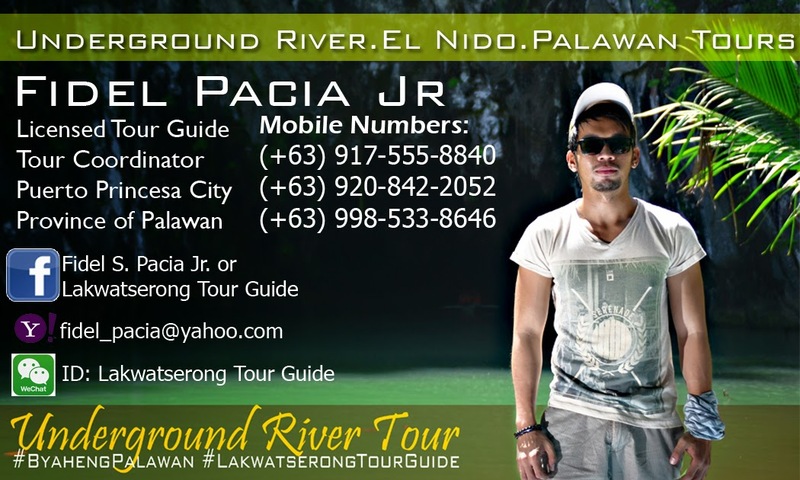 Do you need to pay the tour guide/boatman per group or per person? Or is it already part of the tour package? The cave is breathtaking, I've never been to Palawan but I'm definitely putting the underground river on my list when I go there. I've been there too. Such a nice place.